Temple of Toe™ – Get There! | Surfing Innovation from Bondi Beach Australia – Get There! Surfing Innovation from Bondi Beach Australia – Get There! 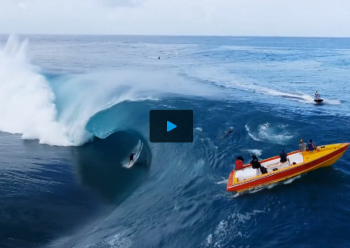 Jordy Smith – Combo of the Year? The More You Ride It, The Sweeter It Gets. An unknown surfer takes the long wave home on this absolute thigh-burner in Tasmania on Monday. Footage by Stu Gibson. © Temple of Toe™ – Get There!/Eran Thomson - All Rights Reserved.